As a classic and expressive cladding material, clay facing brick can achieve various visual effects through different brick finishes & textures, laying patterns, colors, cement joints as well as installation methods. It can not only be used on the low-rise building facades of different styles, but also indoor and outdoor areas as special decoration elements. Fired from quality clay at high temperature, LOPO clay facing bricks are environment-friendly, durable and excellent in physical properties. 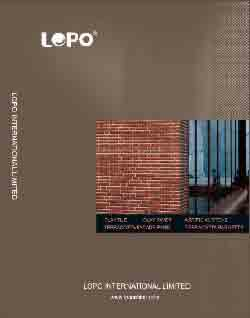 A variety of standard and custom colors, finishes & textures, dimensions and shapes are available for LOPO clay facing bricks. 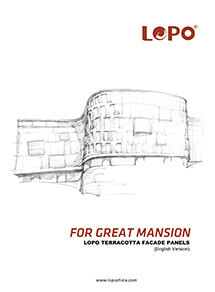 Together with architects, LOPO has developed many clay facing bricks with unique finishes & textures and colors that have been used in many special and influential projects, such as Hamburg House, EXPO 2010, Sanhe Yanjiao Jiadu Kindergarten, CRC University (Shenzhen), etc. LOPO clay facing brick offers standard and customized brick of various profiles, color shade, finishes, allowing the architects to add distinctive architectural features to any project. Terracotta brick of special shape for sills, kerbs, wall capping and corner details are also available on request.